There’s a reason that the Ford Crown Victoria Interceptor served as a law enforcement car for so long. It’s not been built since 2011, but plenty remain in service at the time of writing. The reason it served so long is that it ticks all the boxes needed for a general purpose police vehicle. For patrol duty, it’s comfortable, built like a brick outhouse, has a powerful V8 engine, is supremely reliable, and relatively inexpensive to service. It’s also roomy enough inside with a large trunk to pack in all the gear a cop needs for his daily work. 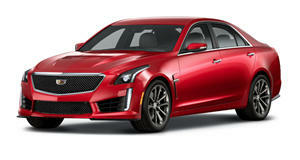 Suggestions to replace it are normally limited to the Interceptor versions of the Ford Taurus and Explorer. But what about more specialist applications? Of course, we know that there are supercars out there, particularly in the United Arab Emirates, but we’re going to keep things a little more realistic and not assume there’s a virtually unlimited budget on hand. Tesla ticks a few boxes as a potential law enforcement vehicle supplier, including the fact it's American. What we’re thinking about here is using the Model X for city patrol cars as the limit in range and longer charging times wouldn’t be suitable for Highway Patrol agencies. Los Angeles Police Department has been testing Tesla sedans but the extra room of the SUV may be why Canadian police are trying the Model X. City patrol cars spend an inordinate amount of time idling, and an electric vehicle doesn’t use energy when it’s sitting still. Contrary to what the news and TV shows give the impression of, the majority of a cop's time is spent talking to people and making reports rather than chasing bad guys. For when they have to get somewhere quick or actually pursue a suspect in a car though, the Model X has all that instant torque on tap. 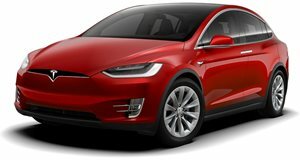 That torque will also make the Model X a breeze to load up with all the extra equipment and haul it around all day. Ironically, despite supposedly being a crossover, it would need a few extra inches of ground clearance. A Range Rover is neither cheap to buy or maintain and has way more luxury then law enforcement needs. However, a stripped out version for cops in areas that have a lot of land that needs to be accessed regularly would be ideal. Alternatively, as a highway patrol vehicle, Range Rovers have solid pulling power as well as cargo space for first response or tactical equipment. UK police have been using Range Rovers for specialist application for years already. 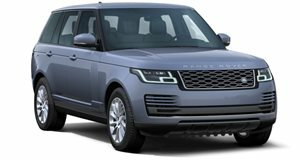 The Range Rover’s off-road ability is well documented, modern Range Rovers also have the advantage of being strong while not having the weight issue of a body-on-frame SUV. The TD6 is the diesel-powered version, which means it shouldn’t be too expensive to keep in fuel while also having a substantial 443 ft-lb of torque. While it's not something we would want bearing down on us in the rearview mirror, we wouldn’t mind at all if law enforcement was the reason the CTS-V wagon made a comeback. There are other fast wagons on the market, but something from an American company would hit the spot across the 50 states. While the 6.2-liter LSA V8 is a thirsty beast, it would be perfect for Highway Patrol to cover large areas. There’s plenty of room for equipment, including the gear to equip them as first responders to accidents, and a large lump of power to respond to and catch up with reports of drunk drivers. 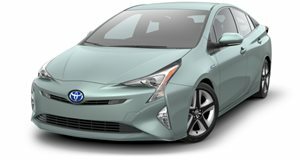 The Prius has been and is used by law enforcement in other countries already, as well as New York, and it makes sense. For big-city patrolling across the US, the Prius would tick plenty of law enforcement boxes, but not the one about power. It would definitely tick the box that keeps taxpayers happy as it would be inexpensive to equip, maintain, and fuel. It would also help in those areas where police are considered intimidating. The Chevy Volt would be even better, but the plug has just been pulled on its production. The F-150 Police Responder already exists primarily for moving cops and equipment to remote locations. For states with a large amount of desert that has to be covered, then it’s hard to argue with the Raptor as something fast, practical, and supremely capable. 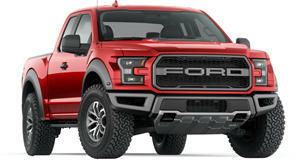 The F-150 Police Responder is also rated for pursuit and uses suspension and other parts from the FX4 Off-Road package along with the EcoBoost V6. However, for even more specialized use, we say give cops the extra 75 horsepower and full street-legal Trophy Truck performance. Police in New South Wales, Australia, do actually have one already for their Highway Patrol. As an alternative to the F-150 Police Responder in places with mountainous landscapes, the Jeep Gladiator makes a lot of sense. Mainly because it is purpose-built to go off-roading and its capability is already being shown as impressive. 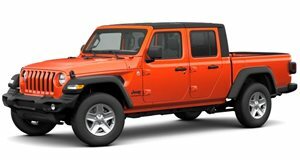 While it’s not simply a modified Wrangler, it does do everything a Wrangler can but with a useful truck bed on the back. The Gladiator is all but guaranteed to be used by American mountain rescue organizations, which is why it will also work for law enforcement. For an out-and-out pursuit car, a supercar does actually make sense. 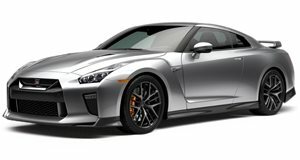 However, going mid-engined has its drawbacks and although the Audi R8 is one of the more reliable and less expensive options, the Nissan GT-R isn’t ostentatious and has rear seats and a trunk. It also gets a respectable 23 mpg. Although that isn’t quite as good as the Dodge Charger Pursuit that's in service, the GT-R has a minimum of 273 more horsepower. Japanese authorities have already made use of the GT-R, and it was, inevitably, dubbed as Copzilla.